With the critical United Nations climate change conference under way in Paris, world leaders are focused on striking a deal that might avoid the worst effects of rising global temperatures. Despite widespread violent conflict—including recent terrorist attacks in Paris itself—diverting significant attention, 2015 may prove something of a watershed in addressing the world’s most pressing environmental concerns. What are the key issues at stake in the Paris conference? Can the lofty SDGs deliver? And how can a unified climate and sustainability framework be effectively implemented? These are some of the questions and issues addressed in a number of recent books and reports. The ubiquity of the term in the climate change and development discussion requires defining what exactly is meant by “sustainability.” A new book simply titled Sustainability [Kent E. Portney, MIT Press, Oct. 2015] purports to do just that. It therefore offers a useful context for looking at the broader debate. 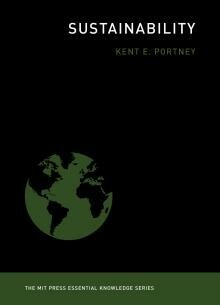 As its starting point, the book presents a definition of sustainability provided by the World Commission on Environment and Development in 1987: “as economic development activity that ‘meets the needs of the present without compromising the ability of future generations to meet their own needs.’” Author Kent E. Portney then furthers the argument that sustainability can only be achieved by simultaneously addressing the three “Es” that comprise it: environment, economy, and equity. The book argues that only by “simultaneously protecting the environment, preserving economic growth and development, and promoting equity” can sustainability be achieved. Separate chapters chart the political opposition to sustainability; the relationship of the consumption of material goods to unsustainability; the private sector’s role and sustainability’s co-optation by corporations; government policy at the international, national, and subnational levels; and sustainability in cities. Highly relevant in light of the efforts to connect the climate and development agendas—directly reflected in SDG 13—is the debate over whether the world has entered the “Anthropocene,” a new geological epoch defined by human activity having a measurable adverse impact on the Earth’s ecosystems. A prominent article in the science journal Nature, “Defining the Anthropocene,” [March 2015] explores the concept in detail. The date of inception of this purported new age has been contested among several key historical points. Among the contenders are 1610, when colonization of the Americas caused millions of deaths from smallpox, leading to the reforestation of vast swaths of farmland and a dramatic drop in atmospheric carbon dioxide; the 18th century beginnings of the Industrial Revolution; and even 1964, when radioactive isotopes from the fallout of nuclear weapons testing first began appearing in the Earth’s rock strata. 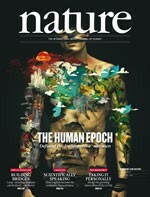 As a March New Yorker article points out, a key follow-up to the Anthropocene question is, “how a formally designated human epoch will shape scientific thought in the meantime.” And, more importantly, how will it shape the response to climate change? 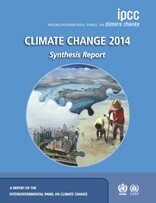 One of the most prominent responses can be found in the Intergovernmental Panel on Climate Change (IPCC) Fifth Assessment Report , which focuses on observed changes and their causes; future climate change, risks and impacts; and future pathways for adaptation, mitigation, and sustainable development. The panel findings state that greenhouse gas emissions have continued to increase from 1970 to 2010, with larger absolute increases between 2000 and 2010, despite the presence of climate change mitigation policies. Furthermore, human increases in greenhouse gas concentrations and other “forcings” are “extremely likely” to be the cause of more than half of the observed increase in global average surface temperature from 1951 to 2010. According to the IPCC report, global warming of 2° C above pre-industrial levels would have serious consequences, such as an increase in the frequency of extreme climate events. This 2° C target was taken up in 1992 by the Rio Earth Conference and the subsequent formation of the UN Framework Convention on Climate Change (UNFCCC), the primary international, intergovernmental forum for negotiating the global response to climate change. Curbing that rise will require the global economy to reach zero net greenhouse gas emissions before the end of the century, with a global emissions peak by around 2030 and a sharp fall thereafter. As the Independent Commission on Multilateralism noted in a discussion paper on “The 2030 Agenda for Sustainable Development and Addressing Climate Change” to be published in early 2016, the timelines to achieve the SDGs and the peaking of global emissions are remarkably aligned. SDG 7, “Ensure access to affordable, reliable, sustainable and modern energy for all,” recognizes the importance of creating new low-carbon pathways to growth within that time period. 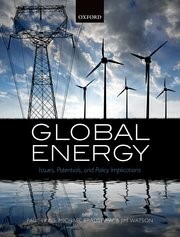 The new book Global Energy: Issues, Potentials, and Policy Implications [Paul Ekins et al., eds., Oxford University Press, Sept. 2015] provides a comprehensive outline of critical global energy issues and an analysis of how energy systems are developing and might develop in the future based on economic, social, political, and cultural options. Encyclopedic in scope, it proves illuminating as it sketches out global trends of energy supply and demand, atmospheric emissions and their driving forces, the main dimensions of countries’ energy policies and security, the climate change regime, and climate diplomacy (with special reference to the UNFCCC). The book dedicates a section to exploring the dilemmas and options facing national and international policymakers regarding energy demand and the technologies and fuels used to meet this demand, including fossil fuels, nuclear power, and renewables. Although speculative, the final section provides thought-provoking “scenarios” of energy futures. As global warming likely inches beyond that 2° C global mean temperature rise before the century’s end, the climate crisis and its disproportionate impact on the poor will challenge the prospects of reaching another central target underpinning the SDGs: “zero extreme poverty by 2030.” (Most calculations, including those of the World Bank, place this as a global rate of extreme poverty of 3%.) If these targets are not attained, then 720 million of the moderately poor will be drawn back into extreme poverty, according to estimates of the Overseas Development Institute (ODI), in its recent report, “Zero Poverty, Zero Emissions: Eradicating Extreme Poverty in the Climate Crisis” [London, Sept. 2015]. The ODI report bases its calculations on the impact of climate change on four factors affecting poverty: the productivity of primary sectors, food prices, effects on childhood malnutrition, and increased droughts. It argues that the impacts of climate change will also reduce the economic growth needed for poverty eradication. 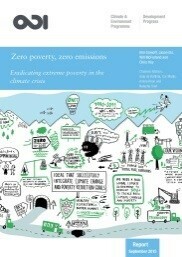 Although its findings that economic growth and reductions in inequality can make poverty eradication possible by 2030 are not novel, the report effectively lays out an argument that the goal of zero net greenhouse gas emissions is compatible with eradicating extreme poverty, and necessary to sustain that achievement. Aside from calling for deep cuts from the big emitters, it also argues that most reductions in greenhouse gas emissions necessary by 2030 in developing countries are actually growth enhancing. Just as the ODI report states that the “minimum ethical floor” of the global development agenda is the eradication of extreme poverty, the notion of what is ethical and equitable, or just, pervades the sustainable development debate. This notion of equity in climate governance and why poverty and climate are “inextricably entangled” is intricately assessed in a compelling book, Climate Justice: Vulnerability and Protection [Henry Shue, Oxford University Press, 2014]. Timely in its analysis of the fundamental issues of equity and justice at stake in an international agreement on combatting climate change, the book addresses the implications for climate justice not only between countries, but across generations. Climate Justice asks how the dangers of climate change can be limited without driving millions more people into poverty. Moving beyond the common analysis of the intersection of environmental degradation and the economic and social inequities it exacerbates, author Henry Shue highlights how the terms of an international treaty could perpetuate injustices in the allocation of the costs of mitigation and adaption between rich and poor nations. He proposes that to proceed equitably, four key issues must be addressed: The fair allocation of the costs of preventing global warming that is still avoidable; the fair allocation of the costs of coping with the social consequences of global warming that cannot be avoided; the background allocation of wealth that would allow a fair international bargaining process about these issues; and the fair allocation of greenhouse gas emissions over the long term and in the transition period. He argues that the fundamental focus of equity in the adoption of a global emissions ceiling “is the protection of an adequate minimum for those unable to protect their own.” To attain this, the author puts forth the case that moving away from fossil fuels, by using the stick of pricing carbon and the carrot of making alternative fuels more affordable, has political and moral obligations to the poor. They must not be priced out of the market by the cost of carbon, and the development of alternative energy capacities must be subsidized in poorer countries. 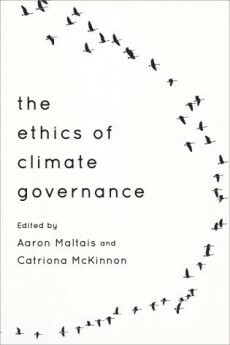 Similarly, The Ethics of Climate Governance [Aaron Maltais and Catriona McKinnon, eds., Rowman & Littlefield, Sept. 2015], based on a collection of articles, evaluates the international dimensions of climate governance and the ethical considerations of how the benefits and costs of mitigation, adaptation, and compensation will be distributed and allocated among wealthier and poorer nations and across present and future generations. The book explores, sometimes unnervingly, aspects of this ethical question such as the distribution of natural resources; strategies to motivate individuals and governments to take action to reduce greenhouse gas emissions; the difficulty of climate change governance due to a possible tension between upholding human rights and maintaining democratic institutions; and new technologies for the climate crisis, including an interesting debate on the governance of geoengineering, the most well-known technology used in mitigation efforts.